Here we come with details about Student & Teacher Sale which is now available at Forever 21 store locations. 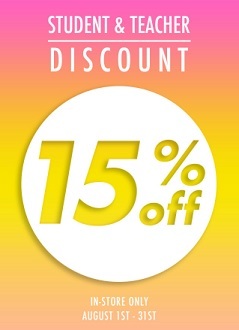 Receive 15% off your purchase of regular price items when you present a valid Student or Teacher ID card. Source of the information is Forever 21. Offer is valid until August 31, 2017. For more details about the offer visit your nearest Forever 21 store location or Forever 21 official website.